Determined thieves may have ruined Christmas for some little girls and boys this year. Dale Bridges, the paymaster for Toys for Tots, reports that the flashing signs his organization rented to encourage donations have been vandalized twice, with four industrial batteries having been removed, cables cut and a tire deliberately punctured. He estimates the financial hit to top out at $400. Toys for Tots, a not-for-profit organization run by the United States Marine Corps Reserve, accepts donations in the form of cash or toys so they can distribute Christmas gifts to children in poverty. It is a volunteer-based organization, and Bridges says it requires a "year-round" effort by his fellow veterans and active reservists. "Last year we distributed over 55,000 toys," he says. The signs, which were in place in parking lots across from Costco and Target in Eureka, were damaged during the night of Nov. 27 and again last weekend. Volunteers usually turn off the signs at night but they are not secured. The Six Rivers Detachment 655, the local Marine Corps League, may begin securing the signs at night, but Bridges says this would be "quite a job." Bridges says his organization is in the process of reporting this incident to the Eureka Police Department. Anyone with information is encouraged to call EPD at 441-4060. 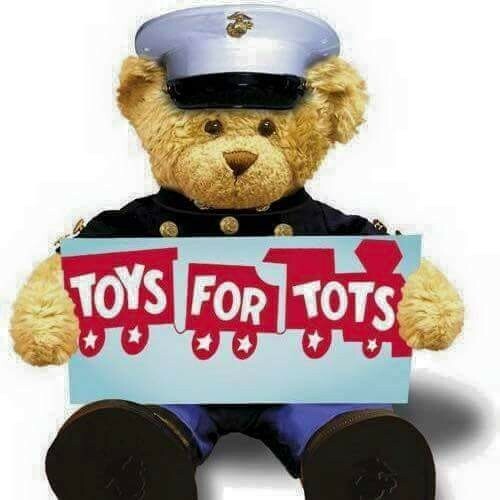 For information about how to donate to Toys for Tots, click here or call 443-4880.